The Green Stripe-This is Autosleepers interpretation of the VW camper for 2+2 people on the T25 platform. 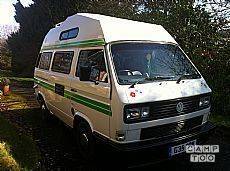 The VW is a 2+2 berth, 2 in the Hi Top (children up to early teenagers fit ok) and 2 in the converted back seat. We’ve found all the fixtures and fittings to be of a good quality and very durable. As it’s a VW it’s a very robust van and reliable, happy to trundle along at 50 mph, which is ideal for the Highland A roads. Treat our classic camper with respect, as if it was your own :-). We really enjoyed our adventure with this little campervan , she was perfect ,was equipped with all we needed for making meals , was cosy and warm , just right for the 2 of us ...we quickly grew very fond of our little home on wheels . 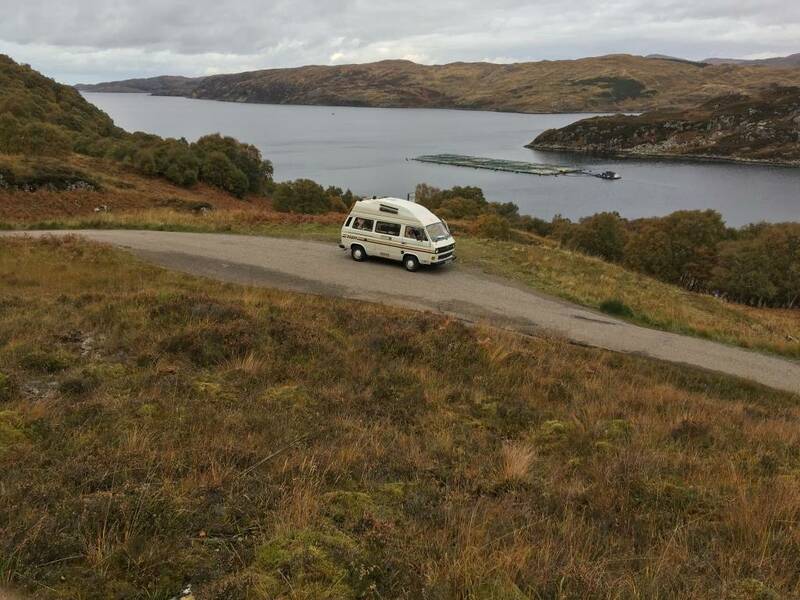 She was the right size for tucking into places for wild camping in the west north highlands and great on the narroŵ little roads ....even the engine purr was a joy to hear . Je kan de camper ophalen in Strathpeffer bij Stuart. Je kan je auto hier gratis parkeren.